The finalists for this year’s Greater Washington Government Contractor Awards were announced in September and WashingtonExec is bringing you its annual series with the nominees. The Northern Virginia Chamber of Commerce and Professional Services Council have unveiled the finalists for the 14th Annual Greater Washington Government Contractor Awards, the premier awards event for the Washington area government contracting community. The winners will be named at a Nov. 1 gala dinner at the Ritz-Carlton Tysons Corner. WashingtonExec talked with one of the finalists, Satya Akula, CEO and president of Amyx, to get his take on the marketplace and his company’s near- and long-term future, among other issues. WashingtonExec: What is your organization’s plan for growth over the next 3-5 years? Satya Akula: In order to develop Amyx’s 5-year growth plan, we first had to analyze Amyx’s history since 2011. Our original 5-year plan, developed in 2011, led Amyx to great success within the cybersecurity and application integration services areas. Today, nearly one-third of Amyx’s subject matter experts are assisting federal government clients with protecting their mission critical infrastructure. Over the past four years, Amyx has invested in maturing and expanding our professional consulting services including, program management, information technology, financial support, and logistics services. This has yielded great successes in winning large, strategic, agencywide and governmentwide contract vehicles, such as: Defense Logistics Agency Program Management Support Services ($206 million ceiling) and OASIS SB Pool 1 ($60 billion ceiling). Currently, Amyx manages seven task orders worth more than $100 million under OASIS SB and 23 task orders under DLA PMSS. We are leveraging these IDIQ contract vehicles to respond to a variety of task orders, while forming alliances with industry leaders in the process. Maximize opportunities presented within our current IDIQ contract vehicles. For example, we conservatively estimate that OASIS SB Pool 1 will compete $10 billion-$20 billion of tasks supporting a wide variety of federal agencies over the next 5 years. We will strive to become the “go to” OASIS SB Pool 1 prime for both customers and teammates in the federal IT and management consulting sectors as well as pave the way as we emerge into a large business. Become fully prepared for the full and open marketplace. We will leverage our key discriminators, such as our combination of CMMI-DEV Level 3 Appraisal, ISO 9001:2008 Certification, and ISO 27001:2013 Certification to maintain the highest quality in all that we do. We will also continue to expand our engagements within our current customers. 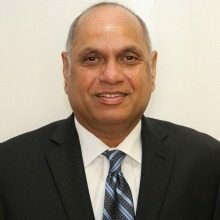 Satya Akula: While many companies have looked to avoid the trend of Low Price Technically Acceptable procurements, Amyx has made a concerted effort to keep our management structure and back-office functions efficient and effective, which has allowed Amyx to bid competitively. Highly competitive pricing, focus on customer’s mission, combined with our key certifications that drive best practices amongst our teams and superior past performance, has enabled Amyx to be in an ultra-competitive position within this tough environment. Satya Akula: Internally, we have tailored our business development and corporate staffing organizations to be able to quickly respond to the RFIs and RFPs which demand rapid response times. Externally, we are leveraging our current customers and teaming partners’ relationships; as networking is a key factor for building new business relationships. We are also continuing to explore social media channels to increase customer awareness of our offerings and highlight our employees’ commitment to our customers’ mission. But one thing hasn’t changed. Our No. 1 priority is to exceed our customers’ expectations on every contract and every task. Without exceptional past performance, no marketing approach would ever become successful. Satya Akula: Amyx is growing quickly, thus will be out of small business size standard soon. Our largest challenge at that point will be to then take advantage of the growth; invest in ever-changing technology, infrastructure and mid-level key management, and stay competitive while entering the “full and open” market. WashingtonExec: We have seen many large, M&A transitions this year, do you anticipate this will continue in the future? Satya Akula: Simply put, YES. With an increased focus across the board on revenue and a diminished number of contracts and budget cuts, M&A will be a key source of growth for many large, medium and small businesses. That being said, Amyx’s growth has been 100 percent organic. Amyx will remain focused on our key growth areas and providing outstanding service and quality to our clients. Satya Akula: One key aspect of Amyx’s mission is to advance the well-being of the communities in which we work and live through contributions of time, money and mentoring support. Healthcare on Wheels Health Fair volunteers assisting the residents of Southeast and Southwest Washington. Amyx employees are also active in both professional and community activities. Our employees are members of groups like NDTA, Professional Services Council, SECAF, TiE-DC, NCMS, PMI, and AFCEA, and of course the Fairfax Chamber of Commerce. Our employees also serve important roles in their communities as coaches, Scout leaders, mentors and other vital volunteers.